For a number of donation choices you can click here to go to Rotary's Giving site. To donate as part of your Estate Planning you can click here to go to Rotary's Planned Giving site. We pride ourselves that as a club we annually have a 100% donation record to the Rotary Foundation. 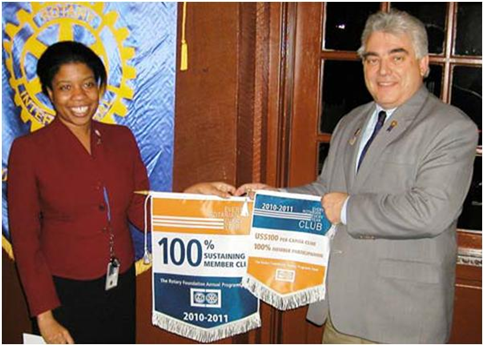 The picture below shows past President Chinyere Amaefule receiving two honors for our club from Rotary Past District Governor Claude Morissette. 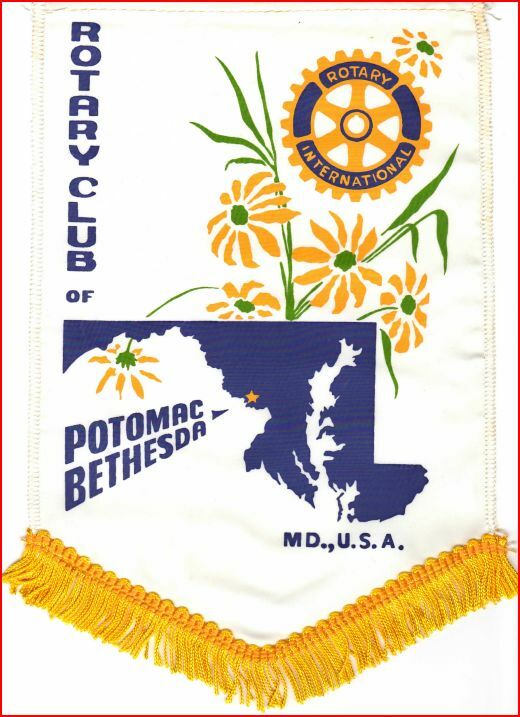 The Rotary Foundation recognition banners are for being a 100% Sustaining Member Club and $100 per capita club with 100% of the members participating.